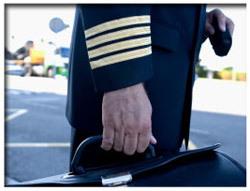 Flight Crew Leasing & Recruiting Services will save you time & money! It’s expensive to pay for a full-time employee to recruit, interview and hire just the right crew members. Additionally, once the crew member is hired, you pay for additional employees to provide administration support (benefits, payroll, etc.). By allowing us to recruit and provide you with dedicated crew leasing services, we do ALL of the work for you, saving you time and money. We will customize our search and hiring program to suit your needs. Our goal is to make this a collaborative effort: this allows you the flexibility to participate as much, or as little, as you want to. After finding the right people, our leasing services take care of ALL the necessary administrative services: benefits, payroll, taxes, etc. We take the burden and cost of cumbersome employee administration off your shoulders and help keep the money on your balance sheet.